My background is in commerce, strategic sustainability, and complex systems. My networks are entrepreneurial and diverse. My passion is social innovation. My concern for the environment drives me toward promoting sustainable solutions and social innovation. Over the years, I have built community partnerships with local farmers, businesses, community groups, city employees, politicians, teachers and other community members through my work. I am continuously seeking new opportunities to connect with like minded professionals who engage in sustainable initiatives and social innovation within their communities. I was lucky to attend the Climate Reality Leadership Corps training in Atlanta, Georgia led by Al Gore. At the Climate Reality Leadership Corps training, we spent three days working with former Vice President Al Gore and world-renowned scientists and communicators learning about the climate crisis and how together we can solve it. Awarded to an individual in our community who has shown outstanding commitment to Sustainable Kingston’s six priority areas. The Federation of Canadian Municipalities' "Sustainable Communities Conference"
I am proud to say that my Ted Talk style presentation to over 500 municipal leaders from across Canada was awarded FCM's first Inspire Award. 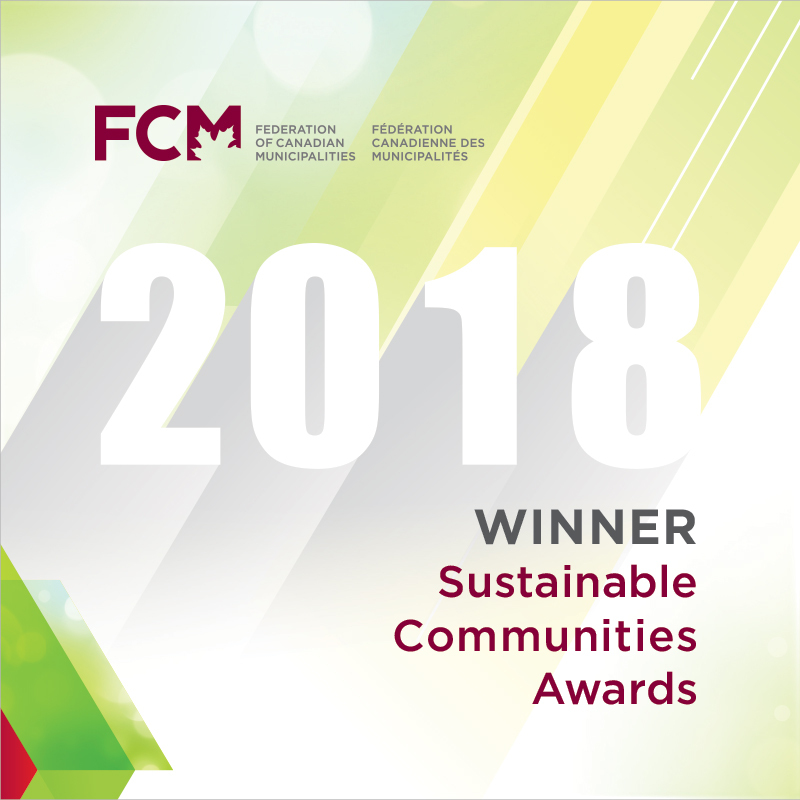 Kingston’s exceptional Transit High School Bus Pass Project was voted as the project that best demonstrates innovation and creativity by delegates at FCM’s 2018 Sustainable Communities Conference in Ottawa, ON. Nominated as one of thirteen representatives for the city of Kingston, my role as a Community Leader for Canada's 150th anniversary of Confederation is to act as a touch-point in my local community; receiving and sharing information about local and national events for Canada’s 150th anniversary. Through this initiative, Community Leaders from coast to coast are establishing a national network and inspiring youth, showcasing sustainability efforts, and ensuring indigenous leadership and culture are represented. The Barry C. O’Connor Excellence in Education Award recognizes the outstanding contribution of individual Limestone District School Board support staff in the improvement of programs or services they provide. I have had the pleasure of working with the St. Lawrence College Enactus team since 2014. This team of students from various backgrounds work together to tackle social issues and create community projects. As the lead Faculty Advisor, I not only mentor the team, I provide advice and guidance regarding project development, I coach presentation teams, and attend the Enactus Regional and National Exposition competitions. In 2016, I was inducted to the John Dobson Fellowship. I went to Karlskrona, Sweden to study strategic sustainable development under Dr. Karl-Henrik Robèrt. The transformational masters programme focused on advancing my knowledge, skills, and global networks, in order to build my capacity to be a strategic leader in the co-creation of thriving, sustainable societies. This program enhanced my entrepreneurial capacity and capability through individual and collaborative exploration of real-world business issues, hands-on application of relevant management principles and practices. I gained critical thinking, problem solving, communication, and collaboration skills during my time at this school. I studied the complexities of the movement of goods and services across the globe. I received hands-on training in international selling and marketing, international trade documentation and transportation selection. It also focused on cross-cultural communication and international business etiquette.